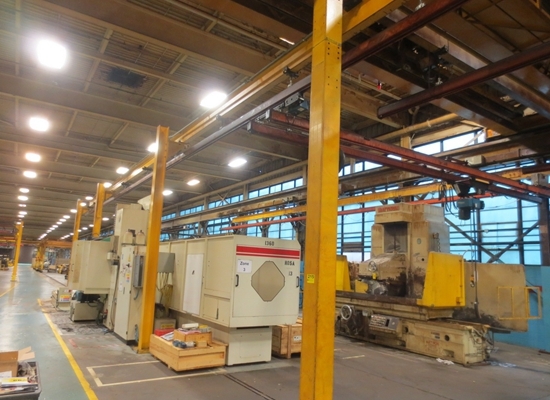 1 ton overhead crane is kind of light duty crane. It is easy to operate and maintain. Such small overhead crane has compact structure and light deadweight. It is designed with two types, top running single girder crane and underhung single girder crane. 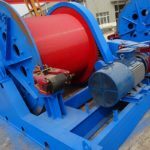 The under-traveling type is particular suitable for factory with restricted height. It can save much headroom. The crane can be used with electric hoist together to improve working efficiency. 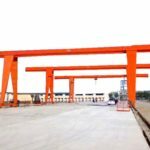 Our company, one of professional crane manufacturers in China, has years of experience at designing, producing, packaging, delivering, installing and maintaining. We win trust with factory price, top quality, reliable performance. To expand our business abroad, we also set agency in Pakistan. This can make purchase easier and faster. 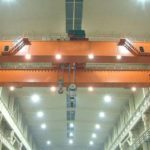 Except for overhead crane, we also have other lifting devices, such as gantry crane, marine travel lifts, types of jib cranes, marine winch, construction winch, rail transfer cart, electric wire rope hoist, chain hoist. For any type of lifting devices, just send inquiry to sales@crane.pk , we will reply to u asap. Light weight. 1 ton bridge crane is flexible to move and convenient to transport from one place to another place. Light dead weight also makes it safer and easier to package, delivery, assemble and disassemble. Simple structure. Small shop bridge crane is mainly composed of crane traveling mechanism, lifting mechanism, trolley, main girder, end beam. High efficiency. Small bridge crane is suitable for assembly line, factory, warehouse, material handling shop. It can save much labor resource and improve working condition. Reasonable cost. Compared with large heavy duty overhead crane, small 1 ton crane is much cost-effective. It has factory price and wide application. Easy check-work. It takes a little time for worker to carry daily check-work. Single girder crane has simple system. The crane manufacturer had better have own factory. There is no middle factory between customers and manufacturers. This is beneficial for customers to save much extra expense. The crane suppliers design and produce products according to national safety standards and international principle. This is basic requirement for crane quality. Customized service is necessary, because customers have particular needs for overhead crane. For example, the crane is used in flammable and explosive working condition, explosion-proof crane is more suitable. 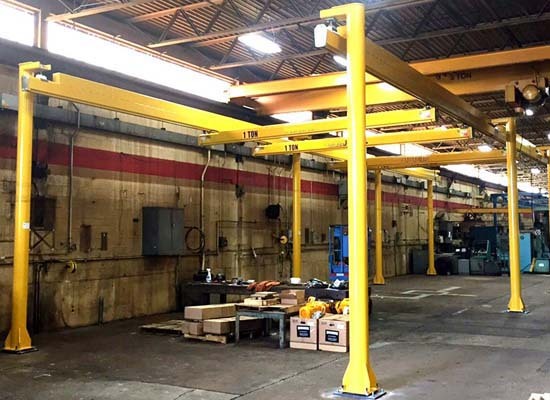 Whenever you are considering a single girder overhead crane for your facility, you’ll want to take the following advantages and disadvantages into consideration. Just like other pieces of equipment, it is important to research all of your options. With the size of investment that’s required, you have to make a well-informed decision. Why choose underslung bridge crane? Ensure that the load capacity is less than or equal to the rated capacity of the crane. Check for bending or twisting and cracks. Check that safety latches are in place and functioning properly. Sheaves are smooth, sheave guards are intact and unbroken.